I shared previously that Tiny Prints is a company that offers a very large variety of Photo Cards for Halloween and Thanksgiving. 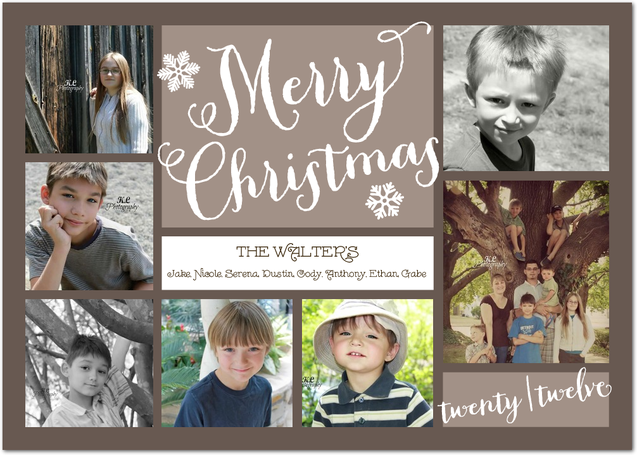 Today I am going to share theri new 2012 Holiday Collection, that are being printed on their new Double Thick Matte paper, their most luxiourous paper ever!! 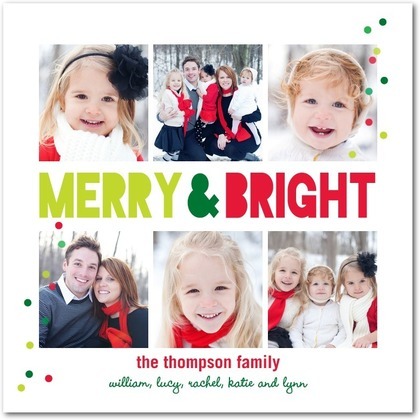 Tiny Prints offers 818 different designs of Photo Holiday Cards to choose from, and most of those offer a few different color designs, there is something for everyone!! 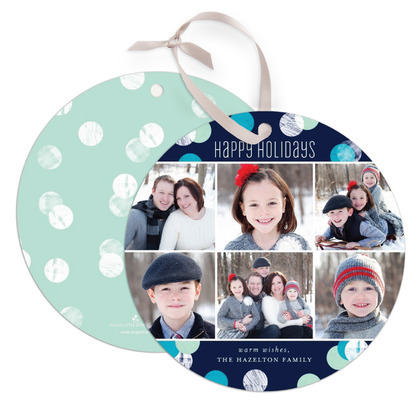 One of the great ideas I noticed was having your Christmas Cards made into Christmas ornaments so your family can use them year after year on their Christmas Tree!! They offer Holiday Cards from 0 pictures for just a card, and they also offer cards with 6+ pictures on them, so families of all sizes have cards to choose from! They offer bright and cheerful colors, holiday colors, and so much more. Now I’m going to let you in on a sneak peek at the Christmas Card I made to send out this year! They offer customization of your text by letting your choose your font and font color. Not only do they offer you complete customization on the front of the cards, but they let your personalize the back as well! Tiny Prints offers many discount on their website be sure to check them out before you send your order in!!! Tiny Prints is offering a wonderful giveaway to one of my lucky readers!! They are offering $50 to spend on the Tiny Prints Website! This giveaway will end on 10/29/2012. There are TONS of ways to get entered, including multiple daily entries! You must enter the giveaway using Rafflecopter below! I am linking up with these great Giveaway Sites, stop over and see what else you can enter to win!! Disclosure: This post was sponsored by Tiny Prints. 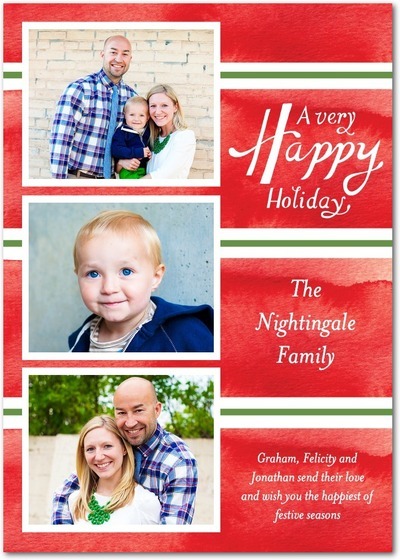 I was provided with a credit to Tiny Prints for sharing their Holiday Cards. All opinions are my own and were not swayed by the free product!! I love those ornament shaped cards, perfect to hang on the tree! The ornament shaped ones are a great idea. I want to get them and laminate one for us to keep. I like the Born This Day card. I have enver seen this site before. These cards are gorgeous! So gald I found this giveaway!